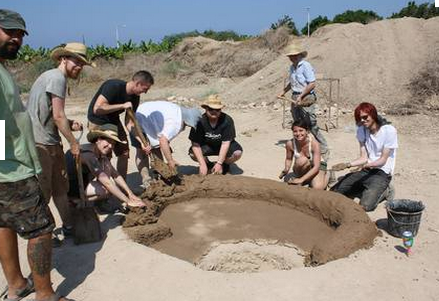 Archaeologists working in western Cyprus are raising a glass to the discovery of a Bronze Age ''microbrewery''. 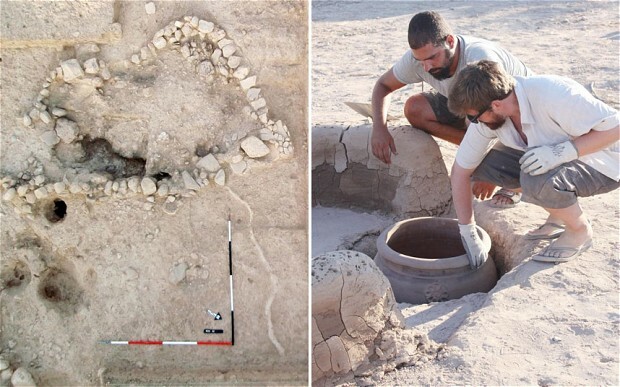 The team excavated a two metres by two metres mud-plaster domed structure, which it says was used as a kiln to dry malt and make beer 3,500 years ago. Beers of different flavours would have been brewed from malted barley and fermented with yeasts with an alcoholic content of around 5 per cent. The yeast would have either been wild or produced from fruit such as grape or fig, according to the researchers. Dr Lindy Crewe, from the University of Manchester, has led the excavation at the Early-Middle Bronze Age settlement of Kissonerga-Skalia, near Paphos, since 2007. She said: ''Archaeologists believe beer drinking was an important part of society from the Neolithic onwards and may have even been the main reason that people began to cultivate grain in the first place. ''But it's extremely rare to find the remains of production preserved from thousands of years ago so we're very excited. The oven discovered by the archaeologists was positioned at one end of a 50-metre square courtyard with a plastered floor. They found grinding tools and mortars which may have been used to break down the grain after it was malted, a small hearth and cooking pots made of clay to cook the beer gently. They also found juglets, which they believe probably contained yeast additives or sweeteners to produce beers of different strengths or flavours. The beers' ingredients were found by the team as carbonised seeds. Dr Crewe added: ''Beer was commonly drunk because it is more nutritious than bread and less likely to contain harmful pathogens than drinking water which can make you ill.
''But alcoholic beverages were also used to oil the wheels of business and pleasure in much the same way as today. Work brought communities together for tasks such as bringing in the harvest or erecting special buildings. ''Instead of payment, participants are rewarded with a special feast, often involving quantities of alcohol which also transformed the work from a chore into a social event. An experimental archaeology team, led by Ian Hill of Harp (Heritage and Archaeological Research Practice) Archaeology, recreated the drying kiln using traditional techniques to test Dr Crewe's theory in August, said the university. The modern version used hot air to produce a temperature of 65C – perfect conditions for heating and drying grains but still preserving its enzymes and proteins. Mr Hill said: ''After the beers had been strained, we felt they were all pretty drinkable, though some varieties were better than others. Whilst use of alcoholic beverages is considered an important feature of most societies, identifying alcohol production and consumption in the archaeological record is notoriously difficult. Presented here is a recently excavated oven-like installation, unique in the Cypriot Bronze Age, from the south-western settlement of Kissonerga-Skalia. The form of this construction suggests that the most likely function was as a drying-kiln, and that one of the primary uses of this structure was for drying malt or curing malt cakes for making beer. The associated architecture and material culture is primarily of types found at Bronze Age sites elsewhere, but when considered holistically allows for extrapolation of some of the less archaeologically distinct aspects of beer production. Important evidence also comes from the well-known ‘scenic compositions’ found in tombs of the Early‐Middle Cypriot Bronze Age, which have been the focus of a great deal of speculation on the nature of the activities shown and the meanings behind the imagery. The new data from Kissonerga-Skalia provides impetus for the re-interpretation of a number of the scenic compositions as narratives of the related activities of producing beer and bread. Furthermore, beer production (and consumption) was an important feature of celebrations, used to foster community cohesion during the Early‐Middle Cypriot Bronze Age, but which may have been manipulated to create inequalities during the transition to the Late Cypriot Bronze Age.